A dominant Celtic side ran up a convincing 5-0 win against the Dark Blues at the Kilmac Stadium at Dens Park. Tom Rogic put the Celts ahead and Scott Sinclair made it two from the penalty spot. James Forrest and Odsonne Edouard added the third and fourth late in the first half with Ryan Christie completing the scoring shortly after half time. 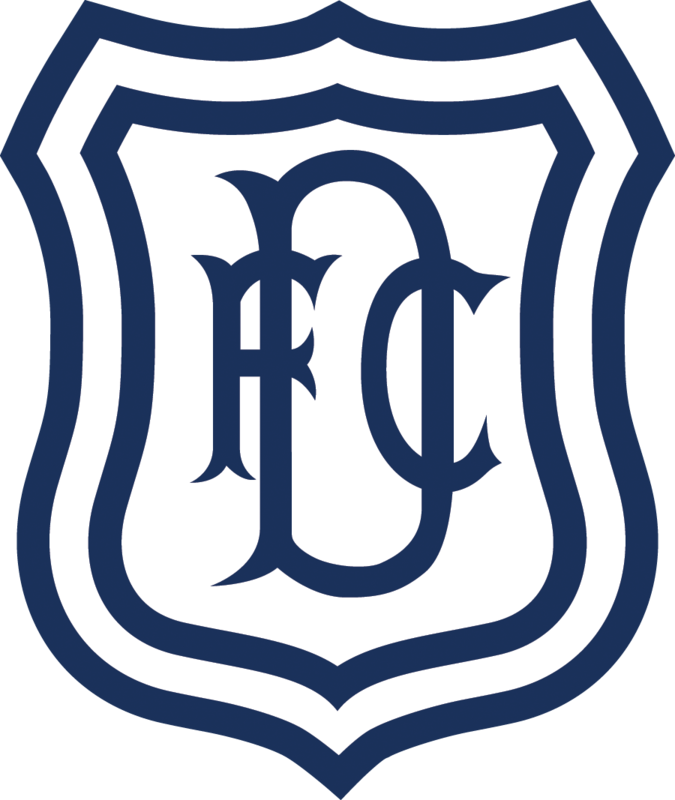 Dundee made two changes following the defeat against Hearts. Genseric Kusunga replaced Calvin Miller, who could not play against his parent club, and Roarie Deacon came in for Elton Ngwatala. 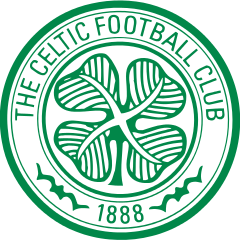 Celtic recalled Craig Gordon in goal, with Scott Bain on the bench, and also brought in Ryan Christie and Scott Sinclair, replacing Eboue Kouassi and Olivier Ntcham. 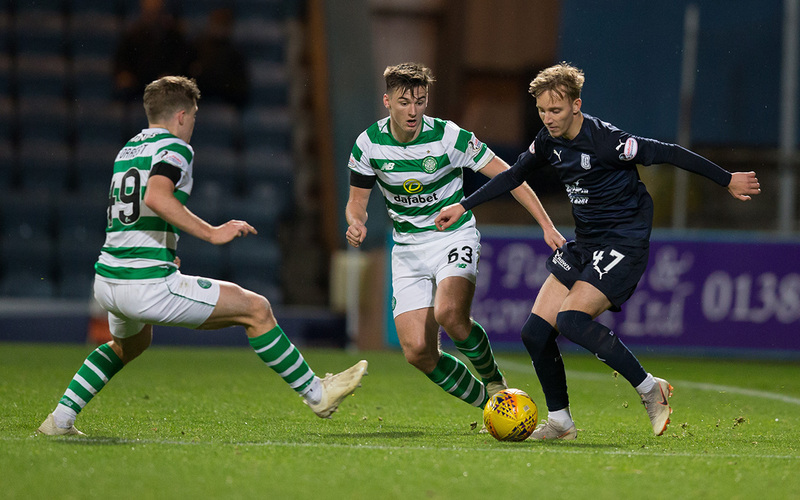 Celtic started at little more than half pace and that allowed the Dark Blues to stay competitive for the first 15 minutes. The Dee had a couple of decent moves down the right, but nothing that came close to causing problems in Celtic’s penalty area. Once Celtic stepped up their game the outcome felt inevitable. On 19 minutes Tom ROGIC was given too much time to tee up a shot on the edge of the Dundee and he flighted a beautifully judged chip over Jack Hamilton and into the top corner. That settled the pattern of the game and the Dark Blues were pressed back into their own half as Celtic passed the ball around. Just after the half hour they were awarded a penalty when Ryan Inniss’s challenge sent Ryan Christie to the ground. Scott SINCLAIR scored without any fuss. Seven minutes from the interval Celtic scored the third. Callum McGregor knocked a long pass over the top for Kieran Tierny to race clear and his cut back was expertly stabbed home from 15 yards by James FORREST. Benjamin Källman sent a header over the Celtic crossbar, but in the process picked up a head knock that forced him out of the game. Sofien Moussa replaced him. In first half injury time Celtic extended their lead following skillful play on the left by Forrest. His cutback from the byline was turned in from close range by Odsonne EDOUARD. Andy Boyle came on for Ryan Inniss at half time, but the second half had barely started when Celtic went five up. Edouard’s pass opened up the Dundee defence allowing CHRISTIE to run in and poke the ball past Hamilton. Fortunately Celtic eased back a gear and Dundee kept working away to prevent any further scoring. The rest of the match was largely a non-event. Hamilton pulled off a fine save from Edouard’s 22 yard free kick. Tierney missed a sitter from close range and Scott Sinclair was guilty of trying to walk the ball into the net on a couple of occasions late on. Apart from that little happened, and nothing came of any of the Dark Blues’ efforts to attack. They were unable to worry Celtic’s defence at any point. Celtic had to play the last 10 minutes with 10 men after substitute Daniel Arzani was stretchered off following an innocuous looking foul. The one man advantage was of no help to Dundee and Celtic remained firmly in charge. After Dundee’s bad run no Dundee supporter could have approached the match with any confidence, and the evening panned out much as the pessimists predicted. Celtic were far too strong in all areas of the park and were in total control throughout. They always gave the impression they had plenty in reserve and could have taken their game up a level if they had been forced to. Sadly the gulf between the teams tonight was huge. Unused subs: Parish (gk), Ngwatala, Mendy, Nabi. Booked: Inniss (foul on Christie), Deacon (foul on Lustig), O’Dea (foul on Forrest), Lambert (foul on Christie). Unused subs: Bain (gk), Hendry, Hayes, Johnston. Goals: Rogic (19), Sinclair (32 pen), Forrest (38), Edouard (45+2), Christie (48). Referee: Alan Muir. Assistants: Sean Carr, Daniel McFarlane. Fourth Official: Steven Kirkland.